Porsche's financial chief has confirmed that the Stuttgart manufacturer is seriously considering a return to Formula 1 as an engine supplier under the proposed 2021 regulations. 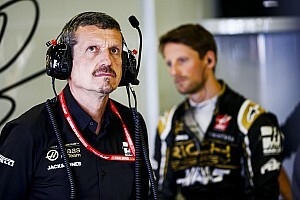 Lutz Meschke, Deputy Chairman of the Executive Board and Member of the Board for Finances and IT, met with Ross Brawn and the sport's other bosses at the Italian Grand Prix. Although it has not been directly involved with the sport since its disastrous relationship with the Footwork team in 1991, Porsche has retained a commercial involvement with the F1 organisation through the Supercup, paying for it to have a place on the support programme. The F1 opportunity has opened up because Porsche stops its LMP1 project at the end of this season, having decided that it doesn't get sufficient return for what is in effect an F1-size budget, but without the income and sponsorship that the likes of Mercedes enjoy. The company has already made a commitment to Formula E with a works-backed team from the 2019/20 season. However, it has also sent representatives to the series of recent meetings about the 2021 F1 engine regulations. It has been encouraged by the direction that is being taken, with a move to cheaper and simpler technology than is currently used. 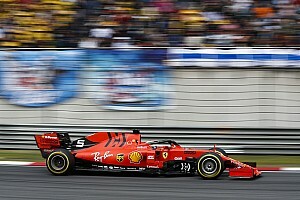 "F1 could be one of the right places," Meschke told Motorsport.com. "As you know Formula E is very important for us now, and F1 is always a good topic to think about. And I think we are in quite good discussions regarding the new engine." Asked if the current plans for a twin-turbo V6 with less technology could attract Porsche to F1 he said: "Absolutely. We have to cut costs in F1, and it's a good way to reach this target." 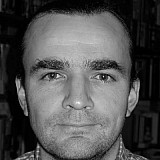 Meschke also confirmed that "discussions are around being a supplier," and thus there are no plans to form a works team. 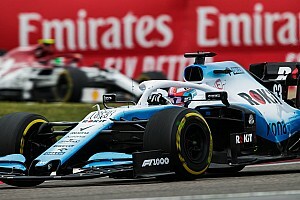 Among the obvious possible partners are Williams, which enjoyed a technical relationship with Porsche before selling its Hybrid Power division, and Red Bull, which has extensive connections with the VW Group. McLaren has a strong history with Porsche through the TAG turbo collaboration of 1983-87, but they are now competitors in the road car market. F1's commercial boss Sean Bratches said that the sport's new owners would be delighted to have Porsche on board in 2021. "Ultimately we're trying to create a platform and environment where more engine manufacturers and brands and teams come into this sport and make it a compelling business proposition to do so," Bratches told Motorsport.com. "As the individual who kind of runs marketing and branding at F1 the inclusion of Porsche, which is a heritage racing brand in our sport, would be highly valued."